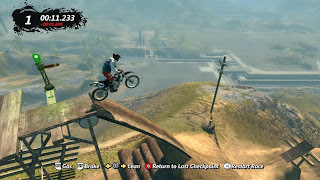 Trials Evolution is the sequel to one of the most popular Xbox Live Arcade titles and it incorporates everything from Trials HD to create a game everyone can enjoy. With an expansive editor, multiplayer, and track sharing, Evolutions has some serious replayability. 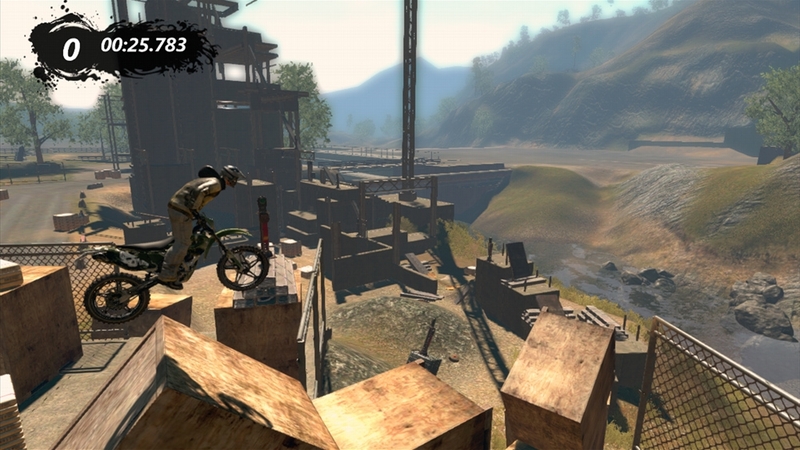 RedLynx has created a set of great default tracks that slowly ramp up in difficulty, as well as license tests which have two purposes: explain new mechanics to complete harder tracks and provide a new bike which is tailored to the upcoming tracks. Career mode can be completed in a few hours, but you’ll want to go back to the tracks to gain more medals, compete with your friends’ leaderboard scores, or just to play through the awesome tracks again and again. 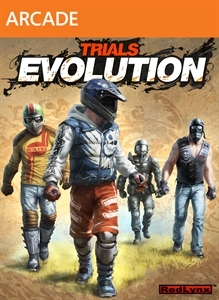 While skill games are back, there are few less than from Trials HD, but they are just as fun. You can also make them in the editor, allowing for a whole new type of skills becoming available to creative editors. You’ll probably want to show off your rider and bike when playing multiplayer, and RedLynx has provided more customizations options than ever before. 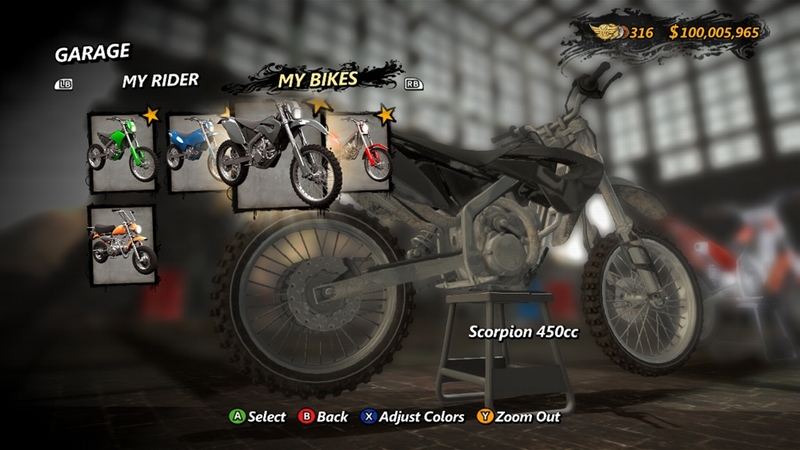 Money earned in Career mode allows you to purchase accessories for your rider and bike, as well as a nice color wheel to change specific parts. There are no performance advantages to buying new parts, so you won’t have to really worry about having money – it’s just all for cosmetic purposes. After you’ve played through all of the default tracks, you can hop over to Track Central, the destination for finding new tracks and content for Trials Evolutions. There are various options available, so you could search by a creator’s gamertag, find only skill games or motocross tracks, or just check out what RedLynx recommends with ‘RedLynx Picks’. 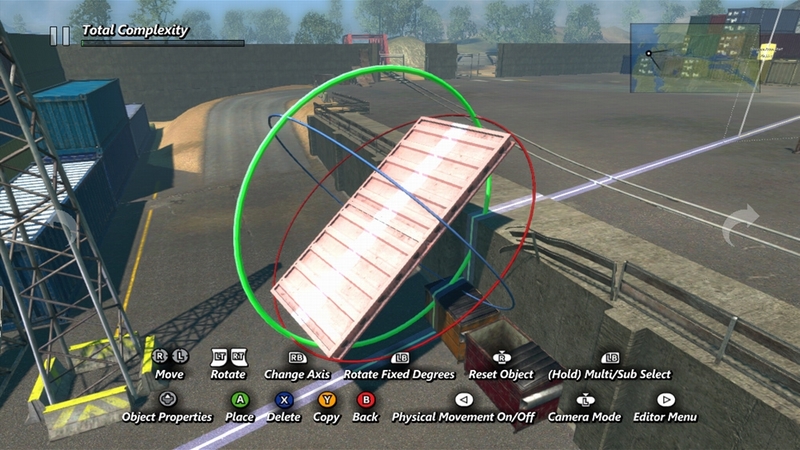 You can literally find a new track to play every couple of minutes, or simply work on making your own with the editor, either the lite or pro version. Every track that you’ll play all takes place on one big island, which you can explore in the editor. The main difference between lite and pro is mainly programmable functions like scripts, which allows you to trigger certain events on your tracks to further create something that’s truly unique. While it was fun to see how you ranked among your friends on the leaderboard, its much cooler to actually race against them in real time. 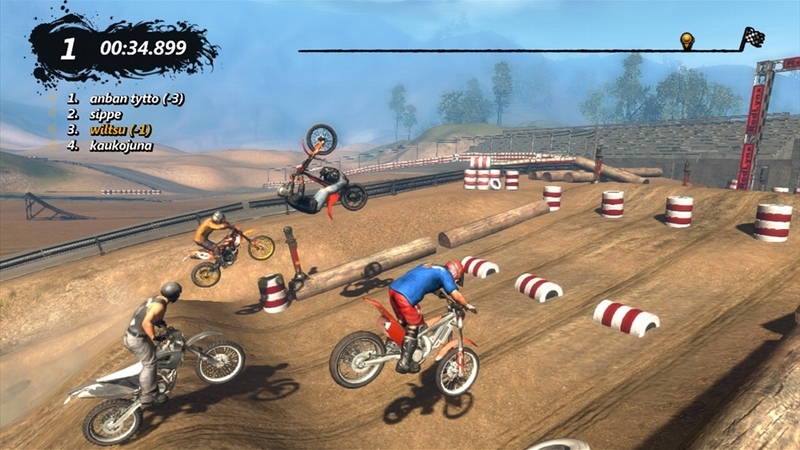 When playing multiplayer on the regular Trial tracks, you’ll see a ghost for each player, but on the motocross tracks your friends or matchmaking opponents will be there with you on a set path, allowing you to see how they are making their way through the track. With new maps to check out everyday, and an excellent physics based gameplay, Trials Evolution is a great game that anyone can enjoy and begin to slowly master each track and dominate the leaderboards. A definite must-download!